Get data-driven insights into the IT jobs market! Computerworld is pleased to offer six new regional IT jobs reports for purchase. Drawing on exclusive data from two of Computerworld's signature research projects, the 100 Best Places to Work in IT list and our annual IT Salary Survey, these special reports provide targeted information about the IT jobs market in six distinct regions of the U.S.: Pacific, Mountain, North Central, South Central, Northeast and Southeast. Each report gives managers a big-picture view of IT hiring in their region with insight from local recruiters, plus average 2016 compensation for select IT titles comparing national to regional data -- information that's invaluable for employee recruiting and retention efforts. Additionally, a sampling of Best Places to Work profiles gives an inside look at some of the top employers in the region, including details about key benefits such as paid time off and training budget per IT employee. Finally, each report shows aggregate results from our 100 Best Places to Work in IT company survey, comparing national to regional data in areas such as staffing, hiring and more. Select aggregate information from the 100 Best Places to Work in IT employee survey is also provided, in areas such as the importance of various benefits to the average IT worker nationally and regionally. The reports are available in PDF format. Each one can be purchased and downloaded below. Get the insights you need to make better hiring decisions and retain your best IT workers. 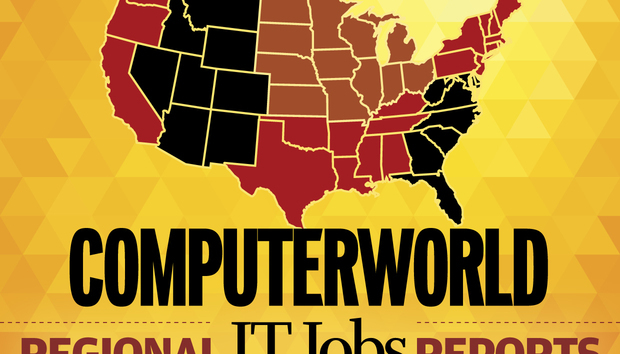 The Pacific IT jobs report covers Alaska, Washington, Oregon, California, Hawaii and Guam. The Mountain IT jobs report covers Idaho, Montana, Wyoming, Nevada, Utah, Colorado, Arizona and New Mexico. The North Central IT jobs report covers Wisconsin, Michigan, Illinois, Indiana, Ohio, North Dakota, South Dakota, Minnesota, Nebraska, Iowa, Kansas and Missouri. The South Central IT jobs report covers Kentucky, Tennessee, Mississippi, Alabama, Oklahoma, Arkansas, Louisiana and Texas. The Northeast IT jobs report covers Maine, Vermont, New Hampshire, Massachusetts, Connecticut, Rhode Island, New York, New Jersey and Pennsylvania. The Southeast IT jobs report covers Delaware, the District of Columbia, Maryland, Virginia, West Virginia, North Carolina, South Carolina, Georgia, Florida, Puerto Rico and the U.S. Virgin Islands.